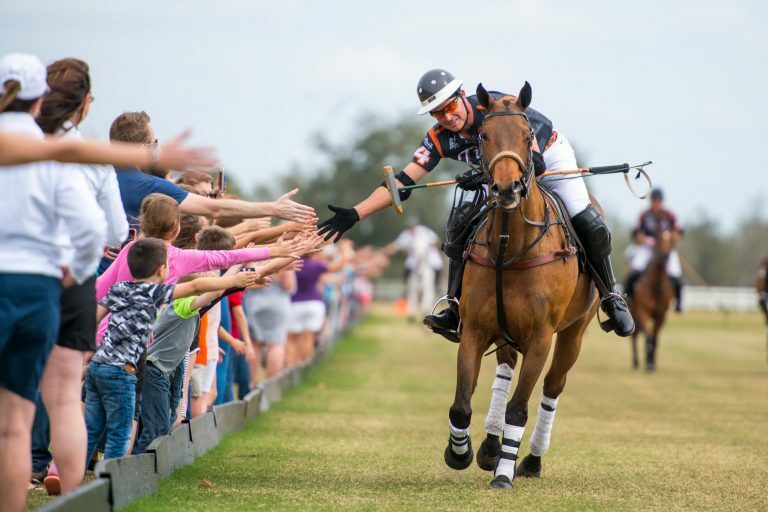 Public Polo matches are every Sunday throughout the season (December 2, 2018 – April 14, 2019) at 1PM. Gates open at 10AM on Sunday. Bring out your picnic lunches and tailgate next to the action on the best polo fields in the USA! Tailgating is encouraged so bring your family and friends and open your trunks and enjoy the Sport of Kings. Don’t forget to join us at halftime for festivities and divot stomping! Dogs must be on a leash at all times. Children 12 and under are free. Tickets are available at the gate. Gates open at 10am on Sundays, match starts at 1pm. All matches are weather permitting. In case of inclement weather, please check the website home page, our Facebook page or call 941-907-0000.